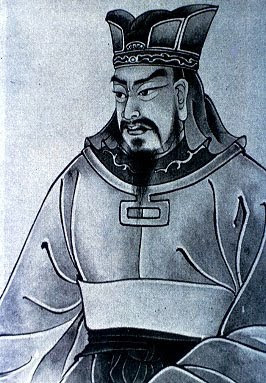 Above portrait of Sun Tzu from here. The present era is of fierce competition between marketers, yet this competition is still in its first lap! PICTURE BAAKI HAI!! (There is more to come!!). The typical pharma marketing attitude, one can say by rote, is to make a copycat pharma product brand, appoint MRs, offer them handsome incentives, and promotional inputs like samples, literatures, gifts, sponsorships, and deals with doctors. "So, doctor, what are you planning to purchase in the near future?!" The doctor will take the bait and put forth his plan and together the MR and Dr. will 'work out' the financing plan for the same and the returns in terms of Rx or sales commitment from the doctor! So this is the world of MR centered fierce competition of the pharma market!! The next question is: Will the above pharma marketing attitude suffice to provide the competitive edge to pharma companies? There are other interesting options - primarily top-management driven approaches (below) that can help add horsepower to the pharma marketing approach!! To fight and conquer in all your battles is not supreme excellence. The following approaches are in the spirit of above quote of Sun Tzu, they are beyond oneupmanship type of marketing. These approaches provide superior competitive muscle that can break the competitor activity 'even without fighting'. A device that can potentially revolutionize MR working is palmtop based call-by-call internet enabled reporting. Cipla is trying out laptop based real time internet enabled reporting. As soon as a doctor call is over, the field person is expected to despatch the call report. If palmtops or such gadgets are used for call-by-call reporting, one can capture many aspects of call activity instantly and also ensure that the MR gets to the field daily! It helps reduce the manipulation and false report activity to the minimum. 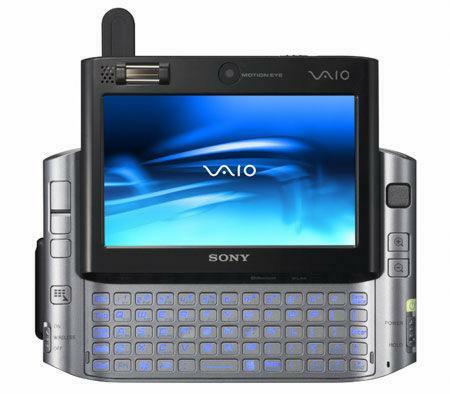 However, to implement any such gadget based reporting system, the requirement is a lot of training and tact. It also requires great maturity among the managements of companies. For one, to implement such a system, a lot of investment will be required on the infrastructure, secondly, one will have to pay the field persons competitively to ensure that there is diligent application of the gadget during field activity and that there is sufficient positive reinforcement for the MR to do it. If the MR perceives the use of such gadgets as draconian and policing, it will lead to a new set of problems. Hence, implementation of gadget based call-by-call reporting requires great tact and sufficient maturity in the organizational culture. It is a HR challenge to create new organizational cultures!! Nevertheless, the call-by-call reporting system has the potential to transform the way of field work. Hand-in-hand with gadget based call-by-call reporting is the need to have a robust IT enabled database department. The department will not only have the onerous task of collection and analysis of reports, the database department can also help create a new ecosystem of database marketing. For eg., if the MR call report says, "Dr., interested in Brand A, but wonders about the side effect on liver", the database department can instantly provide feedback to the doctor or through the MR on the side effect profile. Database marketing can potentially offer significant real-time value and enhance efficiency and effectiveness of field calls. Another contribution of database marketing can be in relationship marketing. If the database marketing department provides the list of birth dates of doctors in a month, the tour-plan of the MR can be appropriately planned, to ensure excellent CRM (Customer Relationship Management). Database marketing department is a "homework department". The departmental work here is detail-driven. Yet these details can help transform business results for a pharma company. Invented way back in 1992, by Kaplan and Norton, the BSC breaks down the organization's strategy in to quantifiable goals and measures activities against it. BSC focuses on measuring. 'You get what you measure' is a management saying! The BSC starts with the vision, mission, then strategies, tactical activities and the metrics. a) The financial perspective: how do we look to shareholders and stakeholders? b) The customer perspective: how do we look to customers? c) Business process perspective: how effective are we internally? d) The learning and growth perspective: how can we change and improve? The use of BSC in an organization removes the hyperfocus on MR centric working and creates a wholistic picture for marketing improvements. The ALL ROUND VIEW is what one gets through the BSC and this creates new patterns of marketing. BSC can influence, positively, the type of products being launched, the pricing strategy, promotional approach, the distribution activities and communication mix employed. 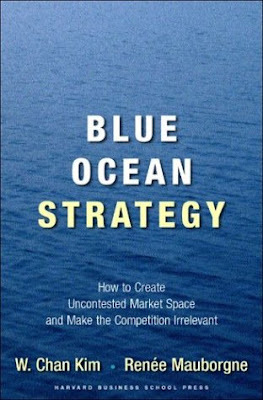 Blue ocean strategy When there is severe competition, the ocean becomes blood red, thanks to the fierce marketing wars! The superior approach of marketing is swimming in calm uninfested waters (where there is hardly any competition) - ie., the Blue Ocean. This requires a new framework of thought in companies. This involves CREATING VALUE THAT TAKES COMPANIES IN TO UNKNOWN UNCONTESTED MARKET SPACES. Dell created such a marketing approach when they took orders over phone and supplied PCs at rock bottom prices with great quality. It was a new market space discovered by Dell. This is an example of blue ocean strategy. Another pharma company is currently creating waves through their range of refreshing electrolyte energy drinks in natural fruit juice base manufactured with aseptic technology. There is great market acceptance by prescribers. The market is virgin and truly a blue ocean. The waters are not infested with competitors. 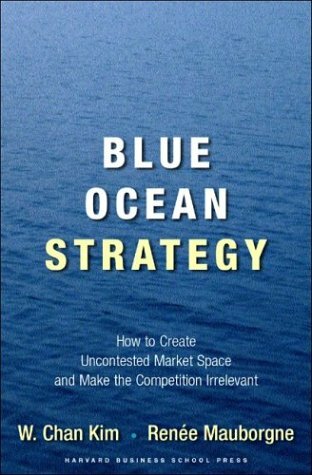 Blue ocean strategy can come through superior processes, packagings, or products. Blue ocean lends a major competitive edge. We see above four approaches that can create a competitive edge to the pharma company, much like what Viagra did to Pfizer! Thanks for reading this blog, please scroll down, click on older posts as and when required to read all other posts, feel free to recommend this blog to your acquaintances.